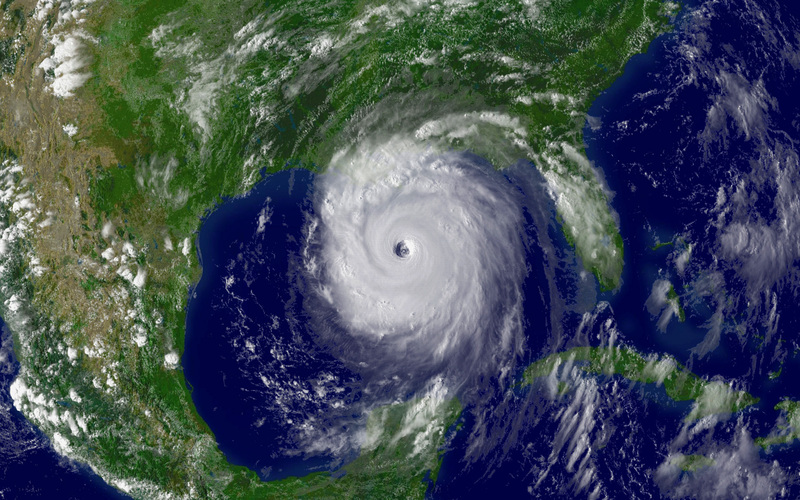 Seven years ago this week Hurricane Katrina slammed into the Gulf Coast. The memory of the devastation, pain, fear, heroism, hope, disappointment and generosity is still very fresh in many of our minds, especially those who lived through it. Today our thoughts and prayers are once again with the residents of the region, as we anxiously await Isaac. Though I did not personally live through Katrina, I experienced her devastation in the aftermath. In the wake of the hurricane, dear friends and colleagues David Berkman and JC Cohen, each a URJ Camp Director, rallied our Jewish community together to provide support, supplies and assistance to those who we impacted by Hurricane Katrina. The Jacobs’ Ladder Relief Project was born. The amount of food, toiletries, supplies that passed through the Jacobs’ Ladder collection center in Utica, MS was staggering. I had the honor of spending the week of Yom Kippur in Utica working on Jacobs’ Ladder. Each day I would take calls from churches and centers housing evacuees. I would ask, “What can we send you? What do you need?” Each day I would unload truck loads full of donated supplies coming in on pallets from across the country. I learned how to drive a forklift and a pallet truck. Each day we would sort the donations around the warehouse. Canned goods & non perishable foods took over one-third of the space. Toiletries and first aid supplies took over another third. Diapers (infant and adult) were along the back wall. Each day we would put together pallets of supplies to send out to those in need. On Yom Kippur we took a break from our work and prayed for healing and redemption. So many memories from that week flow through my mind’s eye today. I remember driving the Pensky truck full of food and supplies to that small church in Enterprise, MS. Shelley Schweitzer and I were greeted by the community with open arms. While the men unloaded the truck, the women ushered us inside for lemonade and snacks, and the children danced around excited to see what was delivered. We gathered together in a prayer circle, hands joined, black and white, Jewish and Christian, thanking God for the generosity of those who donated the much-needed food, thanking God for delivering Shelley and me safely to them, imploring God to return us safely home to our families. I remember the pain and need – the families who lined up for hours outside our collection center to pick up bags of supplies. I remember the unending generosity and good will of our nation. I remember the medical professionals who dropped their private practices to come south and provide much-needed care. The truck drivers to dropped their usual routes to help bring supplies in and out of the region. The regular people who felt so pained by the devastation, who had such big hearts to donate their own time and money and energy to help out wherever and however they could. Memory is a powerful thing. It is what sets us apart as human beings. Painful memories can hold us back, keep us stuck in the past or they can urge us forward to a different future. Positive memories bring us warm feelings of love, laughter, joy. Memories can inspire growth and change. Memories can move us toward transformation. During this month of Elul, our work should be recalling the memories of the past year. How can we learn from them. What do we want to treasure? What do we want to change for the coming year? Today, as Isaac blows toward Louisiana and Mississippi, I pray. May the memory of Katrina bring us strength. May we have the strength to face the fear and flooding coming our way. May we have the strength and wisdom to join together as a nation to help those impacted – not just in the days ahead but also for the long-term. May we have the strength to led a hand to those near and far-reaching out for help. May we each, in our own way, find the strength and inspiration to act, to create change, to bring healing to those in pain. Hazak, hazak v’nithazek – be strong, be strong and we will be strengthened. Thank you. Through your recollection, I felt as though I was able to better understand the effort undertaken by so many kindhearted people. And your prayer, that I have added to my own words today, is simply perfect.